This will be an exciting year full of hen parties and I do’s. My oldest friend Orla is getting married this year and I am just honored to be a bridesmaid. All four of us got together this weekend for wedding plan chats and pizza. I saw these little straw tied prosecco/champagne bottles a few months ago on pinterest and waited for the perfect event to pull them together. 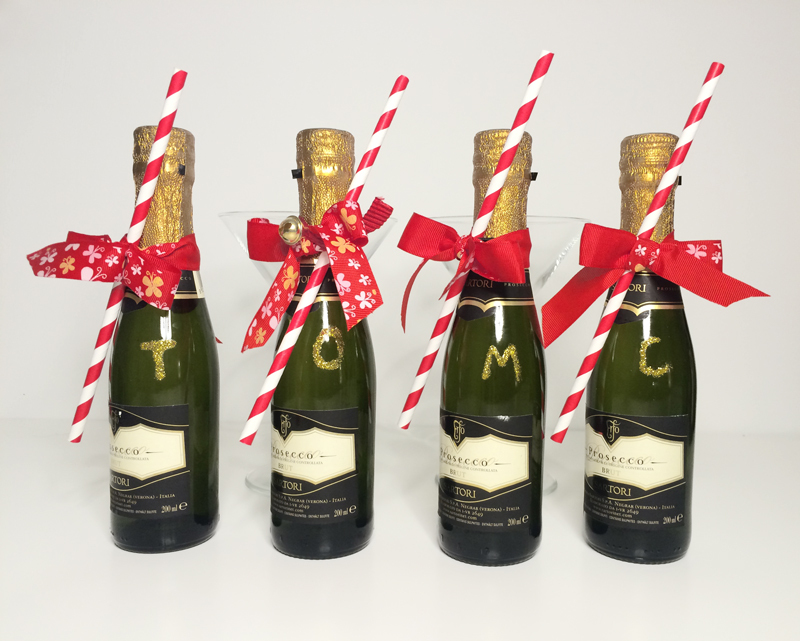 All you need is a bottle (champagne, wine, soft drink) a small elastic band to hold the straw tight, paper straws and a ribbon. I had originally intended on printing small name tags to hang from the ribbon but decided to add a little first initial in gold glitter glue instead.